Making more of a scouting and hiking trip across the northern Ozarks I visited Stone Mill Spring inside Fort Leonard Wood in Pulaski County this week. 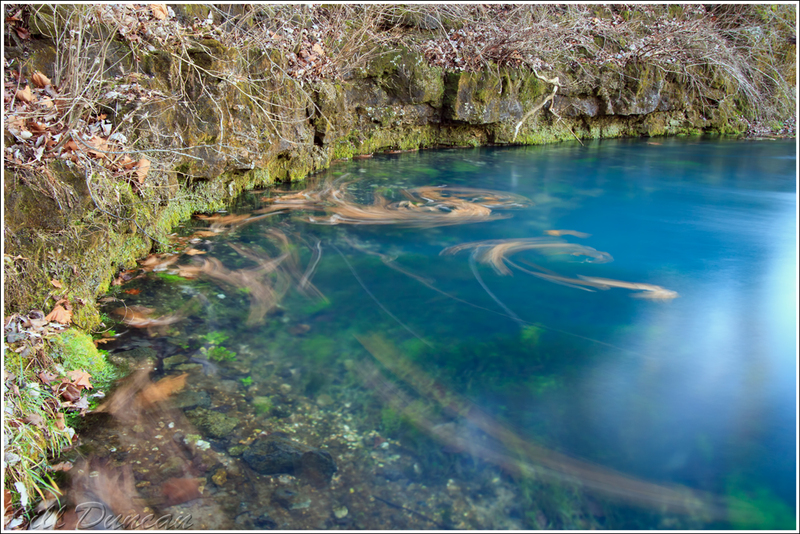 This spring feeds into the Big Piney River and like many Ozark springs comes out of the base of a steep rock wall. On this visit the wind and currents from the spring were moving fallen oak leaves across the surface of the pool. I took advantage of this by setting the camera with a long shutter speed to bring some sense of movement to the image. I believe this spot may be worth a spring time visit in the future.